Mario Kart has always been an interesting franchise to look at. While it was an innovator, creating an entire sub-genre with the original Super Mario Kart on the SNES, the core gameplay also hasn't changed much throughout the years. While Mario Kart 7 seems to bring to most drastic changes yet to the cart formula (moreso than bikes did in Mario Kart Wii), the old adage "the more things change, the more they stay the same" totally applies here. One of the most talked about feature with Mario Kart 7 is that they aren't just go karts anymore (like Nintendo ever pretended they were). The inclusion of water and air traversal may seem gimmicky like the bikes in Mario Kart Wii, but it actually plays out much better than the one-off Wii addition. Tracks were designed with multiple branching paths to support this mechanic, forcing players to choose their traversal route (and the consequences) related to them. The para-gliding mechanic works fantastically, as the extra mobility in both height and speed variation adds additional depth for players to make choices in taking extra risks; however, the water propeller section was only useful in a handful of courses. 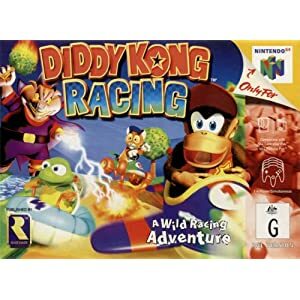 It's also interesting to note that this "new mechanic" isn't new: Diddy Kong Racing, originally released as an alternative (from Rare/Nintendo) take on Nintendo's Mario Kart series, added two main differentiating features: a large hub world, and three types of vehicles: Planes, Hovercrafts, Karts. Certain tracks allowed players to choose different vehicles, and these significant consequences to the race outcome: planes are forced up over the tunnels, and the tunnel, while longer, contains powerup items. Mario Kart 7 cleverly adopts a similar "choice and consequences" loop, allowing players to make those choices within the game on the fly. While Mario Kart features iconic characters and frantic action, players will also undoubtably remember the various tracks that make each game memorable and unique. Ask any fan of Mario Kart and instantly they can tell you which tracks stands out from each iteration of the game. For me: Royal Raceway (Mario Kart 64), Baby Park (Mario Kart Double Dash), Airship Fortress (Mario Kart DS)... For me right now, it's hard to pick a favourite from this new one: The new Rainbow Road Wuhu island tracks is an interesting concept, forgoing the 3 lap count for one giant sectioned race; the new Bowser's Castle and Wario's Galleon offers up plenty of multi-path choices and interesting turns. It might be early to say this, but Mario Kart 7 has probably the best track selection out of all Mario Kart games. In addition, every game since Mario Kart 64 have included 16 "Retro Courses", fan favourite tracks from the games past. It's interesting to observe the choices and what get's picked. I once had a discussion with a friend on exactly why certain tracks were picked, and I had a fun time researching this. Initially we both quite disappointed that Luigi's Mansion was included again; it turns out this is it's second appearance. I guess we've played Mario Kart DS too much. When considering what tracks were to be included in Retro Course, there was probably a lot of design decisions in contrast to previous iterations. In Mario Kart 7, Retro courses had to be retrofitted to take advantage of the new features (and old unusable ones were removed). Elements like the stunt jumps in Mario Kart Wii, notably in Koopa Cape and Maple Treeway, were removed, making the 180 degree hairpin much more interesting. Older tracks tracks added additional ramps and jumps, allowing for additional hang-gliding sections (the biggest impact can be found in the older tracks like Kalimari Desert, taunting players to risk going off-road for the possible shortcut). 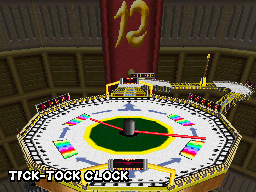 In fact, it can be observed that there were more tracks that were "suspended in mid-air" than on ground, which makes the omission of tracks like Tick tock Clock and Royal Raceway even more obvious when you think about it. Tracks like Airship Fortress and Waluigi Pinball only featured a forced jump section where players have no control over the glide time, robbing players of the new experience that they were promised. Well, that's all I have for now. I guess I may do a full grind review in the future if I ever get three stars on 150cc. Administrative Stuff: Welcome to 2012? My last post: November 16th? YIKES. Sorry folks, busy with stuff, didn't feel like making time to make posts, etc. Yup, I know it's a pretty bad excuse, but hey, it's a new year, let's start over, right? I've got a few things on my mind right now, covering a bunch of games I just got and played through in the last month or so (Mario Kart, MW3, AC:R) , and it's just a matter of typing them all in. Siri, dictate! Fingers crossed, first post, this friday!